The UK has some of the highest prevalence rates of allergic conditions in the world, with over 20% of the population affected by one or more allergic disorder. However, many of the symptoms of allergies are similar to colds and therefore it can be difficult to determine between the two if you have not previously experienced any allergic symptoms. “Colds are caused by over 200 different viruses. When one of these viruses gets into your body, your immune system attacks it. Some of the effects of this immune response are the classic symptoms of a cold, such as nasal congestion. The viruses that cause colds are contagious. You can pick them up when an infected person sneezes, coughs or shakes hands with you or if they are just in the air around you. Usually, after a week or two, your immune system fights off the virus and you stop having symptoms. Allergies are triggered by the immune system reacting to normally harmless substances, such as mould or pollen. Your body releases chemicals like histamine, just as it does when it’s fighting a cold. This can cause swelling in your nasal passages, a runny nose, coughing and sneezing. Allergies are not contagious, although some people may inherit a tendency to develop them”. Symptoms take one to 3 days to emerge after infection with the virus. 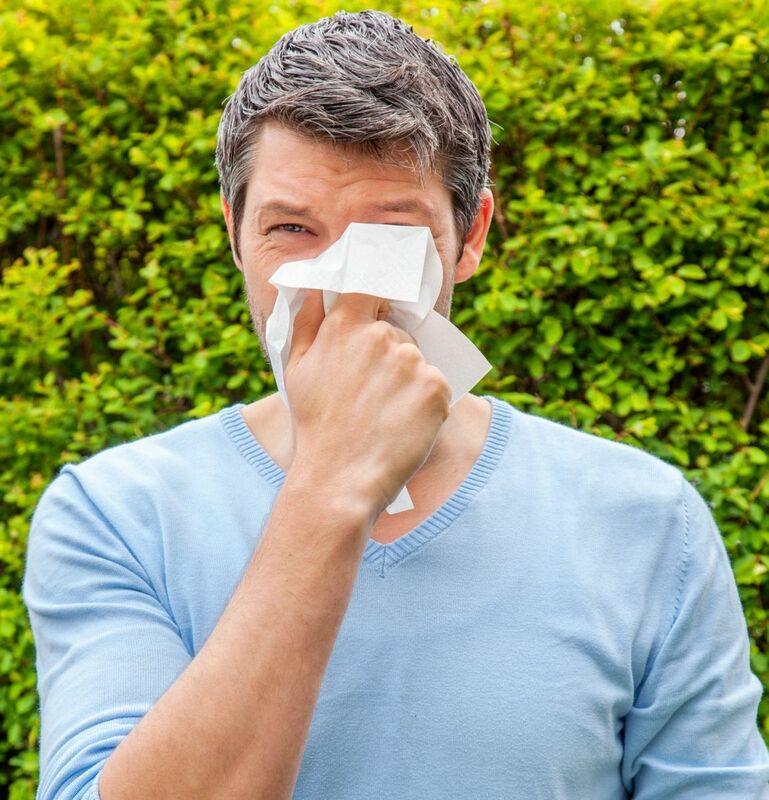 Although there are some differences, cold and allergy symptoms overlap quite a bit. The most important distinction is that colds don’t usually last longer than 14 days. If you still have symptoms after this time, they may be allergy symptoms. To prevent allergy symptoms, avoid substances you’re allergic to, called allergens, where possible. If you’re allergic to pollen, for instance, avoid going outside on days when the pollen count is high. Should avoidance alone be insufficient to control your symptoms, your doctor can prescribe medication either anti-histamines and nasal steroids or a combination of the two to minimise your symptoms. Further reading material can be obtained from Allergy UK (https://www.allergyuk.org). Although there are no guaranteed ways to prevent cold symptoms, you can try and minimise your chances of catching a cold. Keep your distance from people who have colds; Wash your hands often; To protect others, always cover your mouth and nose (with a tissue, rather than your hands) when sneezing or coughing. There is no reliable cure for the common cold and most symptoms will resolve between 10-14 days.